Please note: We are unable to ship this light by airmail as it exceeds the max. length allowed. 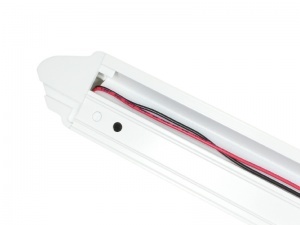 The Astro is a surface-mounted exterior 12v LED lighting unit designed for installation on the rear or sides of a vehicle to provide general wide area lighting that is required in awnings and over work areas. 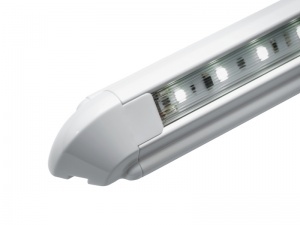 The Astro uses the Labcraft Orizon waterproof LED strip (IP66) that features the latest LED technology to offer high brightness, optimum performance and extended life. 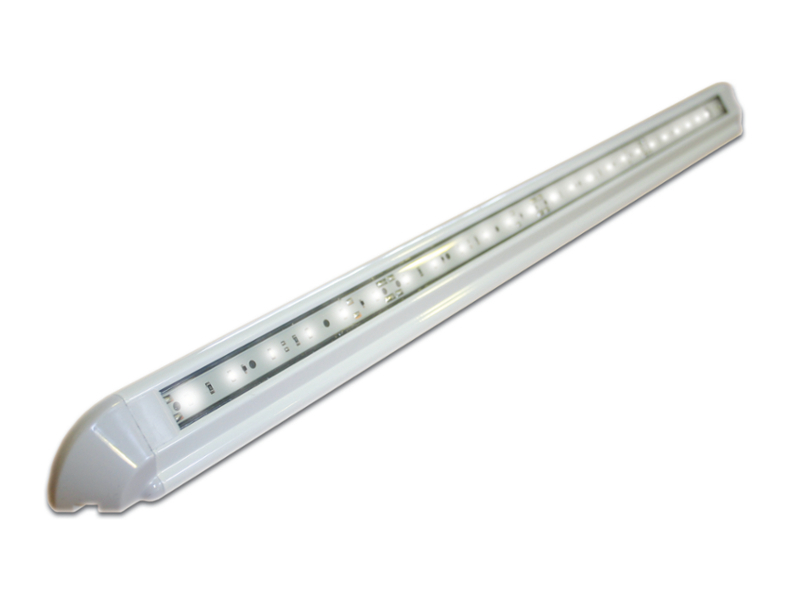 This 520mm long LED strip is contained within a fully sealed polycarbonate casing and sits within a slimline aluminium housing that is angled to provide a wide spread of light along the sides of the vehicle and down to the floor. This downward wash of light also makes it ideal for illuminating lockers, shelves etc. The housing has removable plastic end caps to access the fixing holes. Termination is via flying leads (+ve to red, -ve to black) and the LED strip can be turned around in the housing so that the flying leads exit from either left or the right hand end. Please note that this light does not have a switch. Suitable for use with 12v systems in motorhomes, caravans, campervans, horseboxes, 4x4s and commercial vehicles. excellent service and product. Easily fitted and works well. Same shape, size and form as original caravan external door light which had to be replaced because a number of the LEDs has stopped working. Used this with a LED transformer for a home porch light. Good and bright and the quality white finish should look good for years. You get what you pay for. 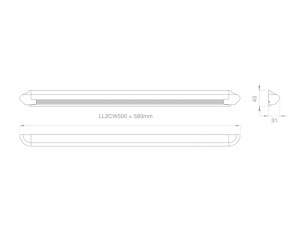 Very neat design and easy to fit in replacement for old style lozenge-shape awning light. Simple wiring (Pos and Neg). I slid the sealed LED section out from the aluminium casing and drilled extra holes so I could put fixing screws where it suited my 'van. Unit was fixed in place using sealant (not supplied) and screws. LED then slid back into unit and end caps clipped on. Very pleased with the result - MUCH better light than the old G4 bulbs. Excellent service from 12voltplanet including knowledgeable answers to my telephone enquiry prior to purchase.